Good price/value. Versatile piece, good for varmint control, many ammo choices. Have been looking at the Judge for awhile now. Like the versatility of the weapon for use at home and on the farm. my cousin told me about your store. Just feels and looks cool, and actually is very practical for trail use and home/car defense. Don't like the handle; handle should be designed a bit larger for such a hefty gun. I love the gun! Also I give customer service 5 stars ⭐️⭐️⭐️⭐️⭐️ !! They were very helpful on ordering the gun and very friendly, I wished all customer service would be like them!! great home defense or camp pistol. super price and fast delivery. I would recommend the Judge for a good home defense weapon. love the Judge and awesomely quick shipping, had it in two days!!! Live on a rural property with a few ponds and lots of woods. Have had a rattler right up at the back deck and several copperheads in the yard. I purchased this so I would have it handy and easy to use. 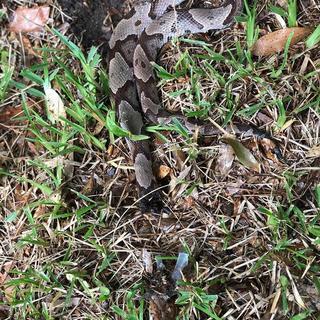 Within a week of getting it we had a guy working on our AC one evening, and he almost stepped on a copperhead while going to his truck for a part. I went in, grabbed the judge and BOOM. .410 #7 shot and the snake was no longer a threat. Easy to fire, pretty accurate with .45LC, no real recoil. Great price here at Grab A Gun too. As you can see, that snake is no longer a threat to the kids or pets (or the AC guy). Love it, fun to shoot! Can run a little costly for ammo, but depends what you are shooting. Great gun ! 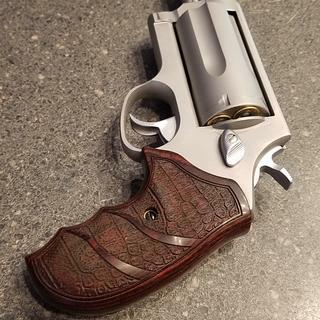 Like the idea of having 410 handgun for home defense. Shoots pretty accurately, only change I made was the grip. Great pistol, great price and great customer service.